Q: It’s 10pm and I’m sitting at the kitchen table…do I know where my children are? A: Yup…Jordi is playing League of Legends on the computer, and Roman is at a sleep over. I guess that means that, technically, I don’t know exactly where Roman is…but I trust the Mom in charge, so I’ll call it good. Grin. A: On the Banks of Plum Creek, by Laura Ingalls Wilder. I’m so glad Jordi has finally discovered her wonderful stories! So, I logged into my email and saw a post from one of the women in the Artist Trust EDGE Program. 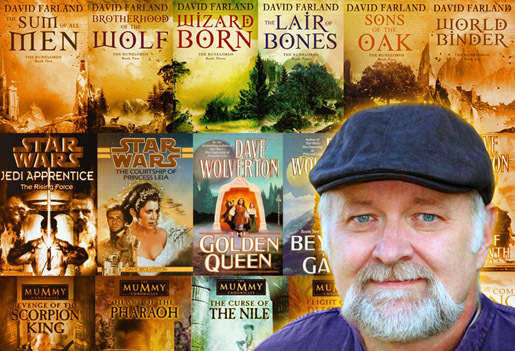 Following the link, I found myself at David Farland’s website, and….if you love straight-up, excellent and direct writing advice and suggestions…I think you’ll like what he’s offering. First…check out David’s own story, then scroll to the bottom and find the several journal entries titled: David Farland’s Kick in the Pants! Finally, if you read something the particularly resonates with you…come back here and leave a comment!